State and local arts organizations and military communities will hold a conference in Jacksonville this weekend to create a community-based arts programs for military personnel, veterans and their families. 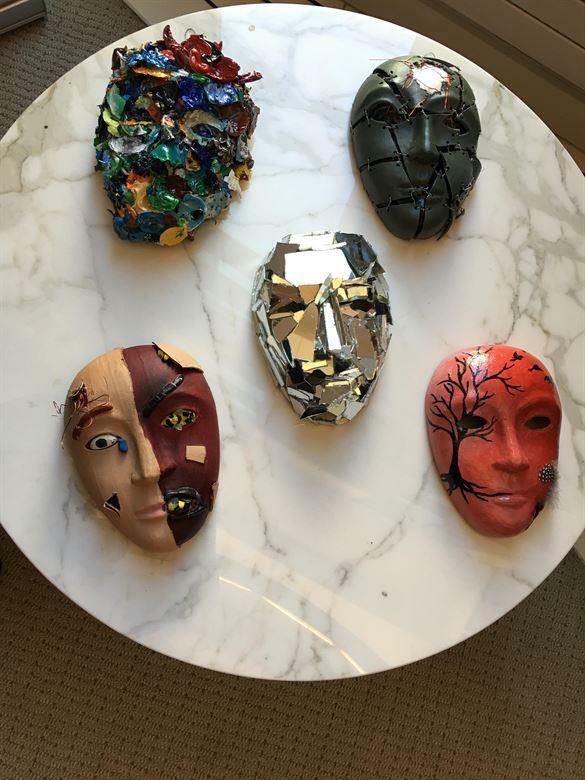 These masks were decorated by service members as part of the Creative Forces: NEA Healing Arts Network. The arts and military conference is part of Creative Forces: Military Healing Arts Network. Creative Forces is an initiative of the National Endowment for the Arts in partnership with the U.S. Departments of Defense and Veterans Affairs, along with state and local arts agencies. The network places creative arts therapies at the core of patient-centered care at 11 military medical facilities across the country, as well as a telehealth program to reach patients in rural and remote areas. Camp Lejeune is one of the clinical sites. The conference begins with an opening event this evening followed by the all-day conference Saturday.